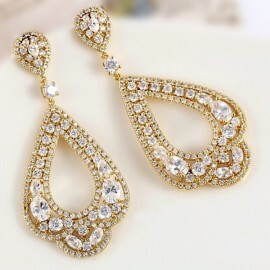 These earrings are so fun! 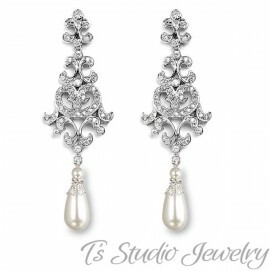 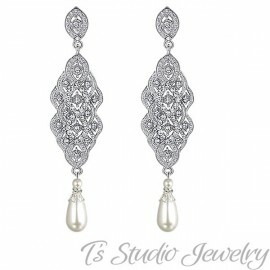 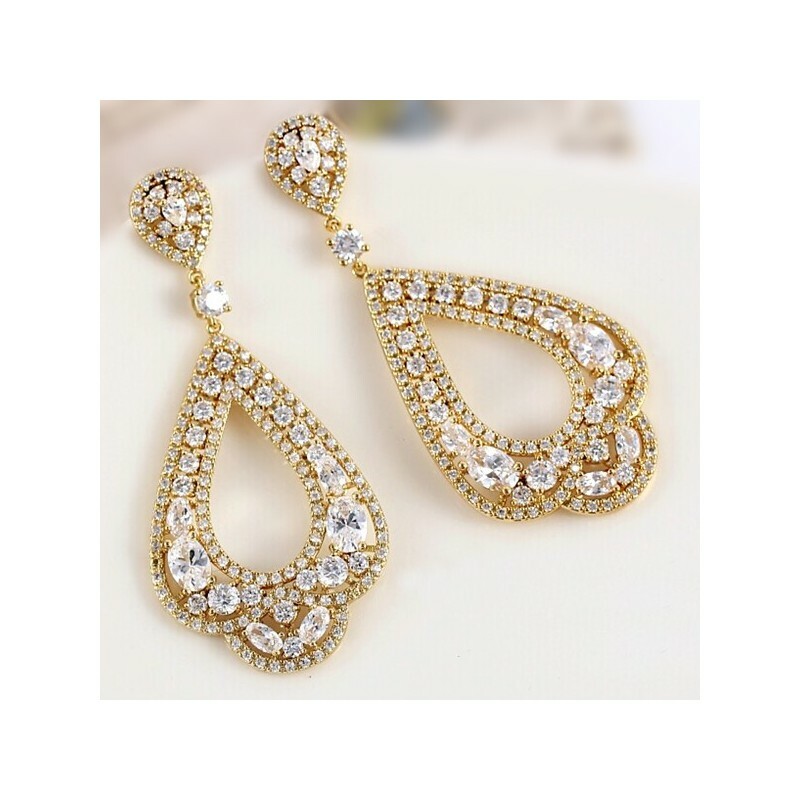 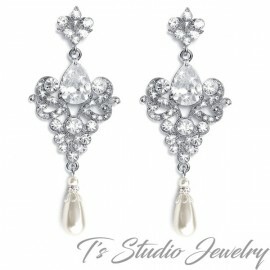 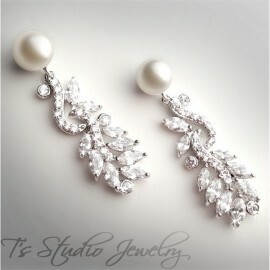 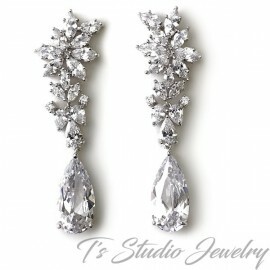 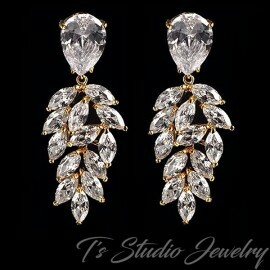 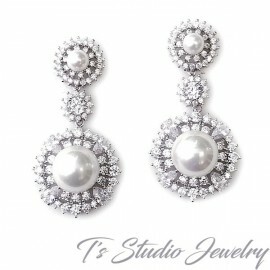 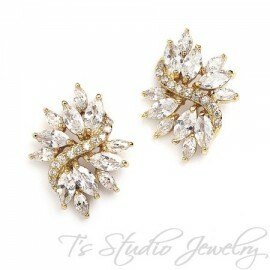 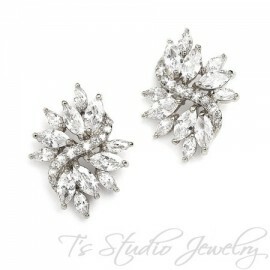 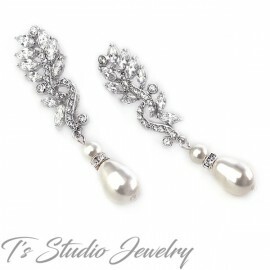 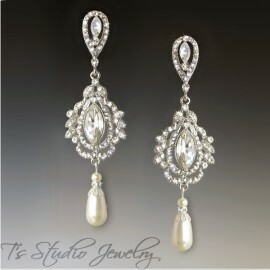 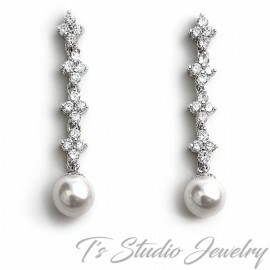 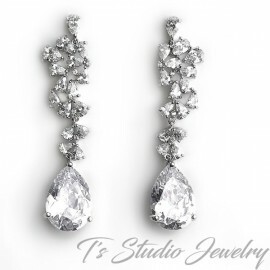 They will look fantastic with a wedding gown, or dress up your favorite jeans and tee. 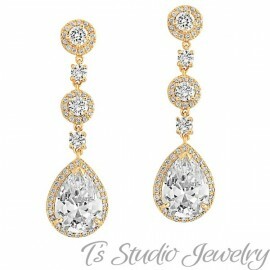 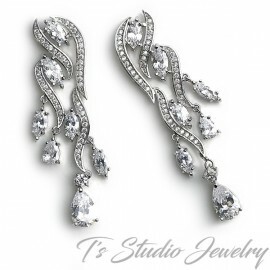 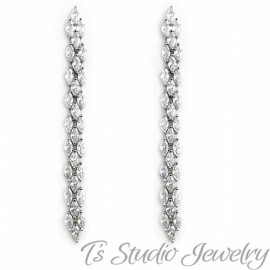 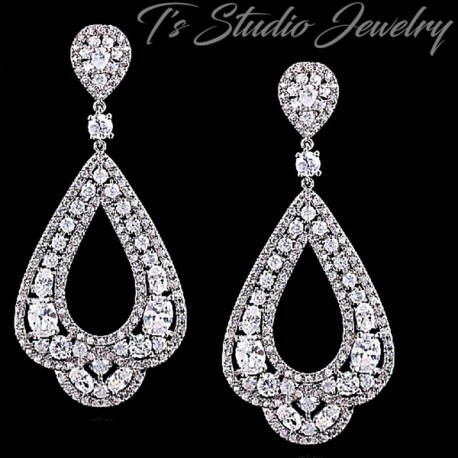 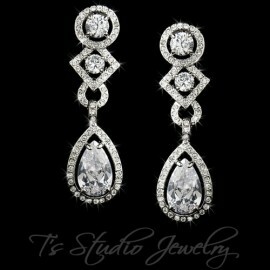 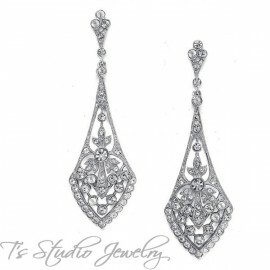 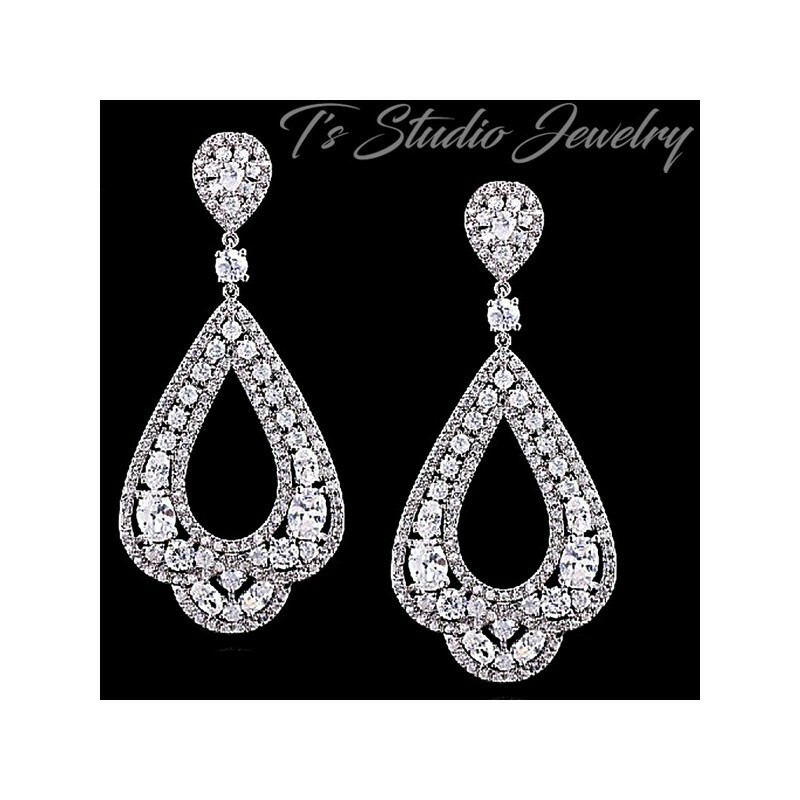 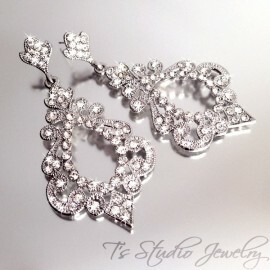 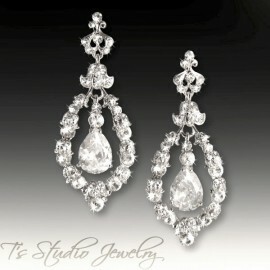 Rhodium plated silver hoops are encrusted with several cubic zirconia stones in a pave style design.